You are here: Home / How Can We Help With Your Pain Relief? Are Pain and Discomfort are Keeping You Up At Night? Dr. Dohoney Wants to Help You. Often times pain becomes more noticeable and even intense during the evening or early morning hours while you are trying to rest. This is common, and with the right chiropractic treatment, it may be preventable. If you are unable to fully enjoy an active lifestyle due to soreness or stiffness, or unable to sleep at night due to pain, please come in for a free consultation. 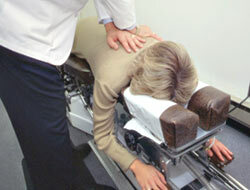 At The Pain Relief Center, we don’t treat just the symptom, we seek to eliminate the cause of your discomfort. What if you simply woke up one day with pain but couldn’t recall an injury. How did that happen? Contributing factors often include years of improper sitting posture, poor work habits, incorrect lifting, and lack of proper exercise. Symptoms such as tenderness, pain and stiffness in the lower back, pain that radiates into the buttocks or legs, pain in the hand, foot or neck are not normal. If you experience any of these symptoms, you may be experiencing a condition known as subluxation, or misalignment of the vertebrae. At The Pain Relief Center we concentrate on relieving most forms of physical pain including headaches, migraines, muscle and joint pain, back, neck and foot pain, carpal tunnel and more. Your customized treatment plan will consist of safe, in-office chiropractic procedures designed to help relieve your pain and to educate you on chiropractic recommended exercise and icing procedures that help reduce pain between visits. Come in to The Pain Relief Center for a free consultation and find out how Nashua Chiropractor, Dr. Stephen Dohoney can properly diagnose the cause of your pain and prescribe a treatment plan that gets you sleeping better at night. Call us at 603.886.4500.